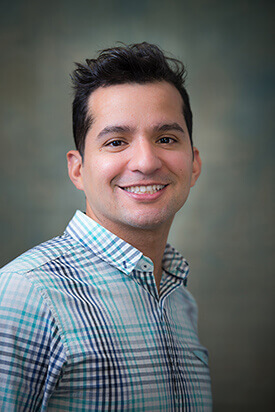 Dr. Geoffrey Gonzales, our pediatric dentist, was born and raised in San Antonio, Texas. He earned his Bachelor of Science degree in Biology from the University of Texas in 2002. He went on to complete his dental training at Tufts University School of Dental Medicine in 2007. After dental school, he completed a General Practice Residency at Coler-Goldwater in New York City. He then returned to Tufts Dental for his post graduate training in pediatric dentistry. While at Tufts, Dr. Gonzales also completed and presented research in dental adhesive systems. He is an active member of the American Dental Association (ADA), New Jersey Dental Association, and American Association of Pediatric Dentistry. Dr. Gonzales enjoys working with children and has a special way of making his patients feel comfortable. He is trained in treating patients with special needs, performing interceptive orthodontics, and administering nitrous oxide sedation. In his free time, Dr. Gonzales enjoys watching and playing sports; he enjoys everything from basketball to football to soccer. When he’s not working hard, Dr. Gonzales enjoys spending time with his family in Texas and New Jersey.